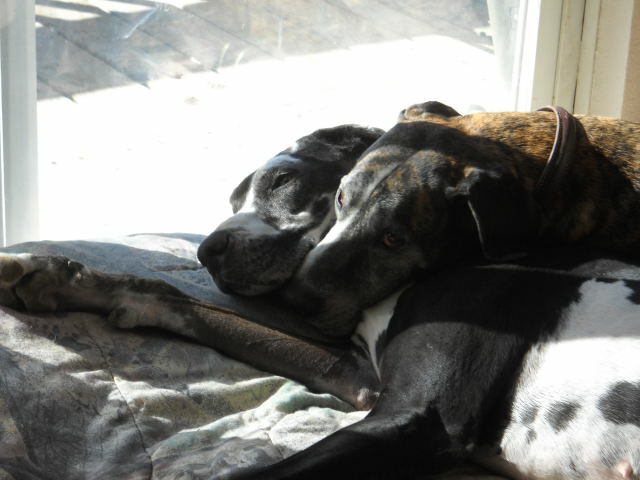 We are proud to breed AKC Great Danes. 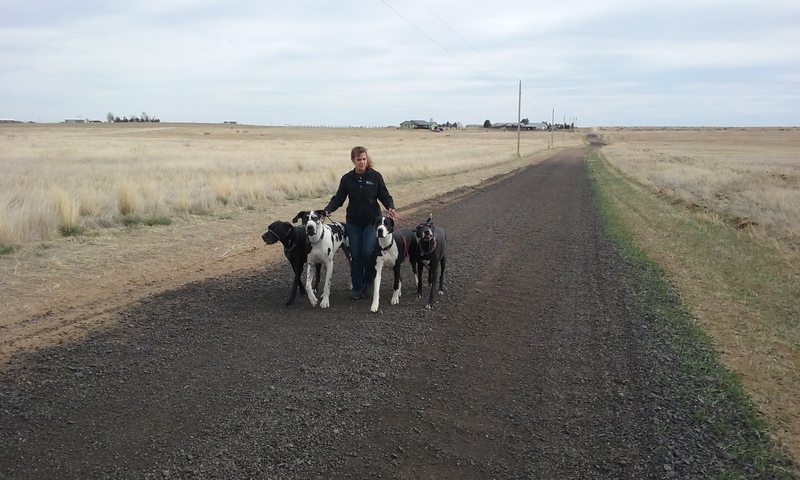 We have been breeding Great Danes for 20 years and have selected our adults for their great bloodlines, confirmations, and of course, their wonderful temperments. Our dogs are top priority in our lives. They are family to us! We are located just outside of Wellington, Colorado in Northern Colorado. We are about 9 miles north of Fort Collins and about an hour out of Denver 35 Minutes from Cheyenne. We hand raise our pups and don't have more than one litter at a time so we can concentrate on those babies. 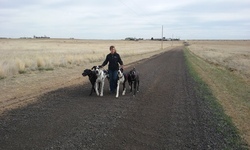 We spend all of our time (not at work) with the pups so they are very socialized when they go home. We offer a health guarantee and make sure all pups have a vet check, current shots and worming before they leave our property. We are very proud of our pups and stand behind each one. We believe that honesty is the best policy and are happy to answer any question you have. Enjoy browsing and come back and visit as the site will be updated. References are available. 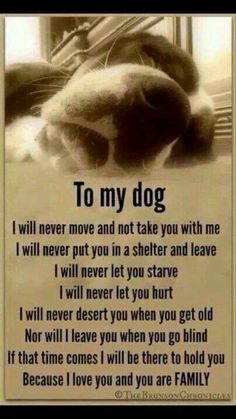 Our puppies are in our hearts from the moment they are born until they leave this earth at a ripe old age. The last couple of years have been very difficult as we have lost three of our beloved dogs. They lived long and happy lives chasing bunnies and loving country life, but they are very much missed. We have an open door policy and encourage new parents to visit as often as possible to get to know their pup and visa versa. You are welcome and encouraged to visit from anywhere. We accept PayPal and credit cards (through our PayPal if you do not have a PayPal account) for payments for safety and convienience. Xandy Perseus Ambrosia and Andromeda enjoying a walk around our place.